Costner is back in action in one of a few baby boomer fundraisers he’s done lately. Great plot… Decent action… Appropriate humor… Not a bad return to the Silver Screen. Grade B. Good movie…. 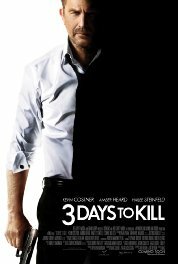 Good action… Decent plot… Some of the daughter melodrama could have been cut short… Costner did an excellent job in this & “Jack Ryan.” Grade B.